GameTrak. I think I paid something like £5 for it on Amazon, so get going there to purchase your own. 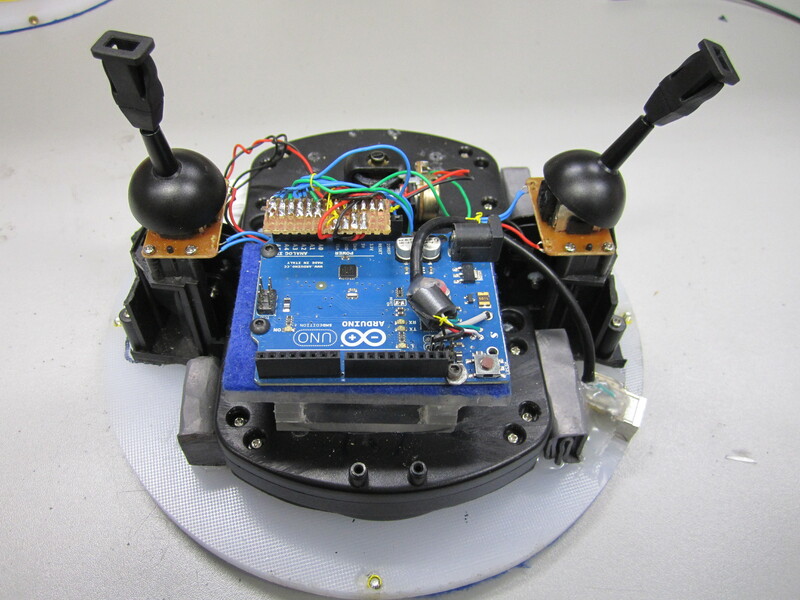 You will need a small crosshead or phillips screwdriver, a soldering iron and the skills that are needed to operate these tools, and a knowledge of things an Arduino hobbyist would know, but do not fear, there’s a whole community of individuals out there to offer assistance and a friendly smile for Arduino. After going through the steps found in the first link above, you may be faced with this cct board and a sad face will be forming in the general area of your head, but do not despair! 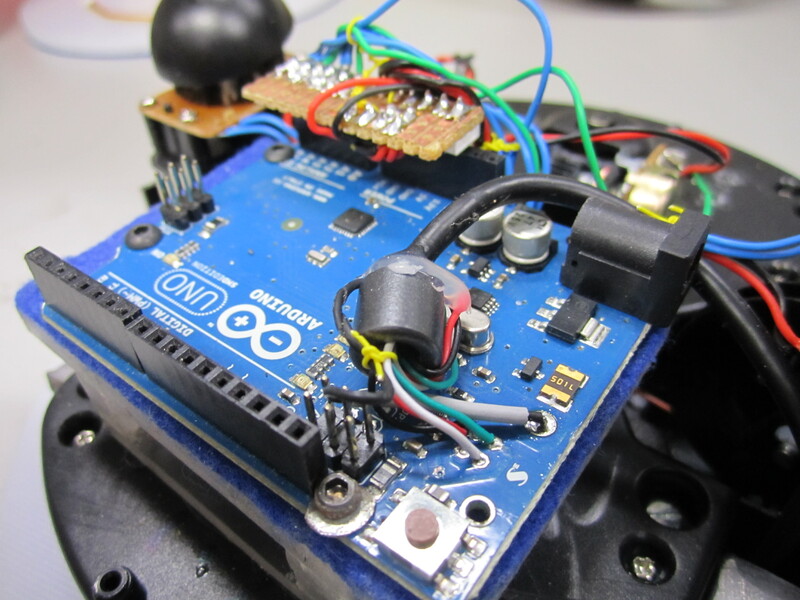 You do not need to re-list on eBay or return to sender on Amazon, you need to go buy an Arduino: http://store.arduino.cc/category/11 I have a 100% working example on the Arduino Uno smd edition and I’m working on an Arduino micro at the moment too. 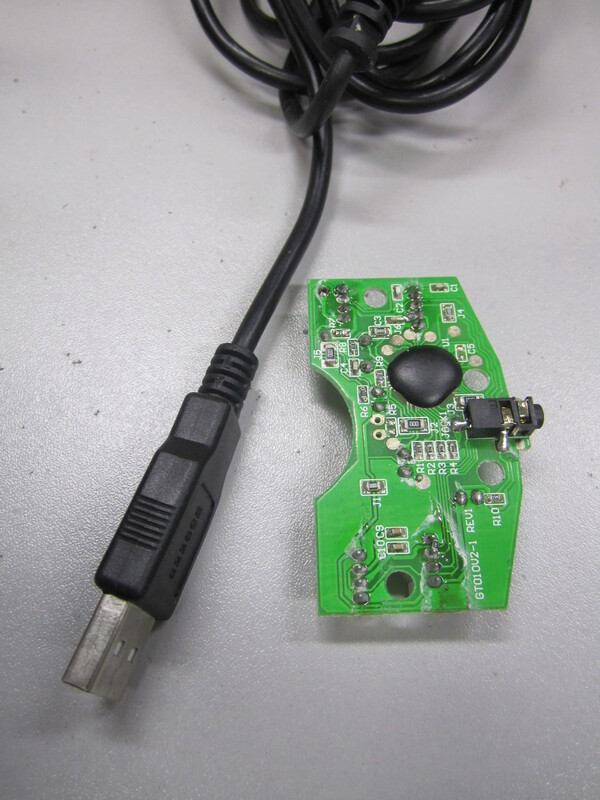 Remove the Gen II circuit board and USB cable. The cables you see above relate to the inputs and outputs from the variable resistors for the left, right, and up/down inputs (I will refer to these as x, y, z). There is also a power supply and ground for each of these variables. You should cut the heads off all of them all and group the reds and blacks separately. These are the 5v supply (red) and ground (black) for each variable resistor. The yellow, orange, and white cables are your analogue variables that control the x, y, and z input, specifically: x, y (orange and white) and z (yellow), this is multiplied by 2 because there are two sides to the GameTrak. Modified base for my new controller. I have cut the GameTrak out of its original shell. Here’s where your imagination should go wild. The original black case is dull dull dull and not very nice at all. 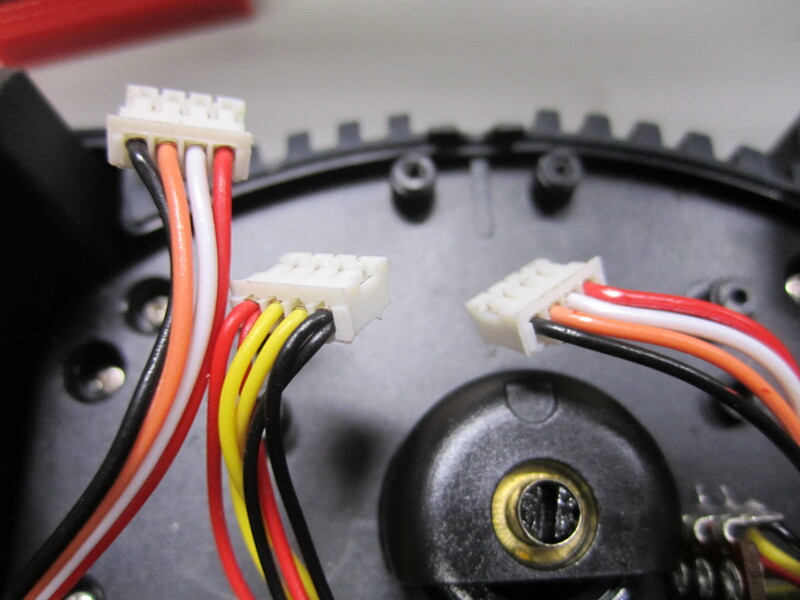 The major components are the variable resistors, so keep them. The big reveal… a haptic bowl! Here’s the shell I chose. Thanks Ikea! There are a few other modifications to the GameTrak that I made to make it haptic, but I’ll go through them at the end of the walkthrough. Here’s a patch for reading OSC messages in PD. logitech Butchered x100 mobile speaker. Inside my bowl I added the components of an X100 from Logitech. This speaker is Bluetooth, so attaches to your PCs audio output wirelessly. 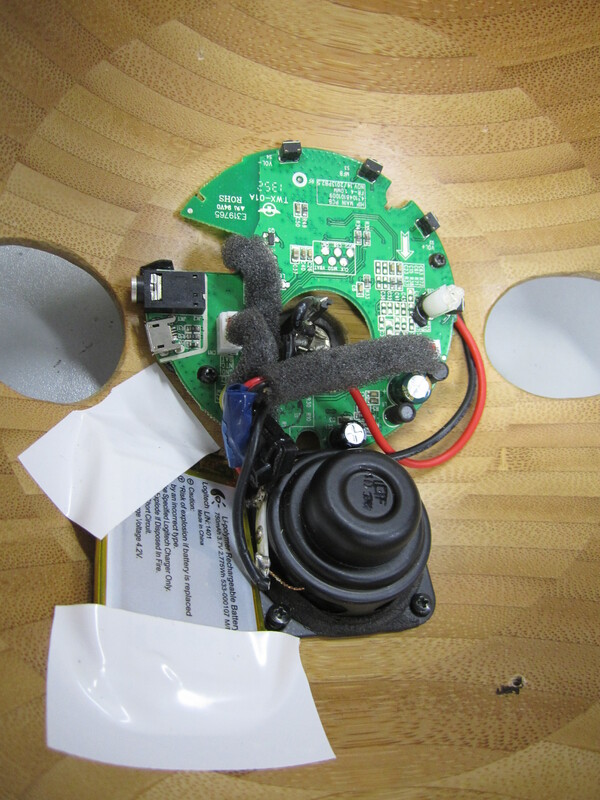 The tiny amp is used to drive the speaker and is also routed to an audio jack output on top of the bowl. With the GameTak gloves and audio jack plugged in we need to modify our gloves a little. 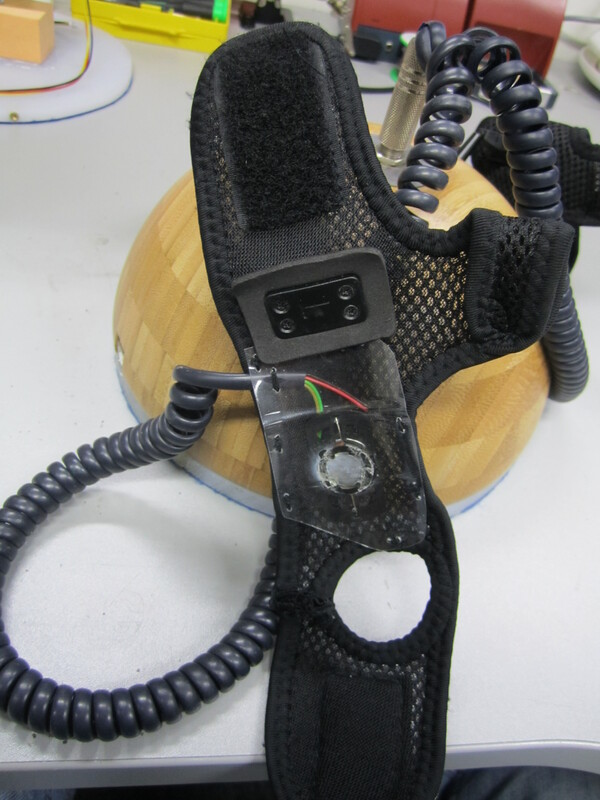 Inside each glove is an audio frequency vibrating transducer. If you look at my previous project to do with gloves, you will see what I’m talking about. 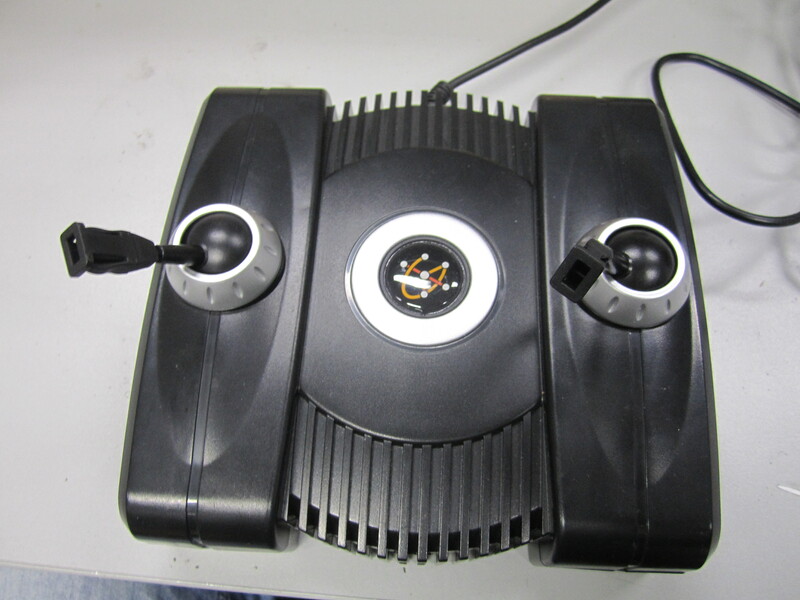 The transducers are connected to the audio amp via telephone wire, in series with each other and parallel to the speaker. This balances the impedances of the drivers to one that the amp can handle. With the combined spring return force of the GameTrak mechanics and the vibrational elements of the glove, we have the force and tactile elements of a haptic system. 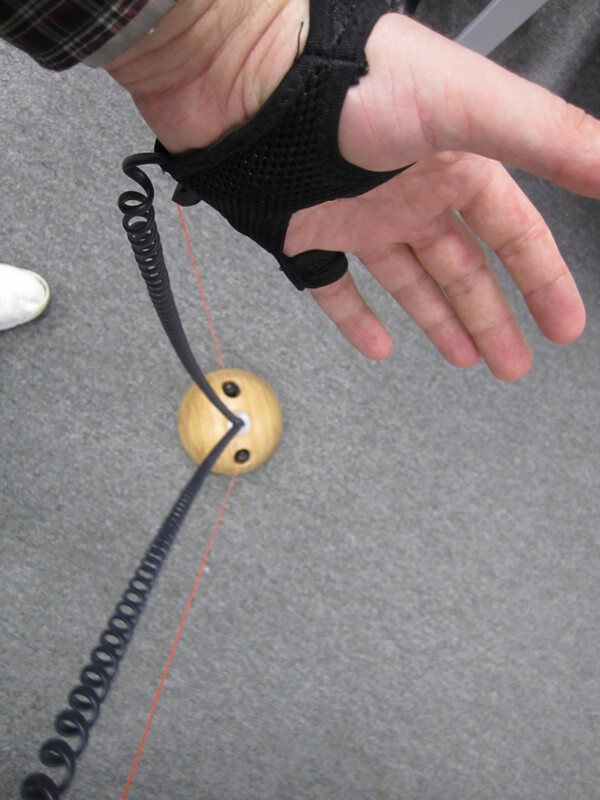 We can now route tactile information to the performer that can pertain to near anything in the vibrotactile detection range and capture movements to be broadcast over a network via OSC. Cool huh? 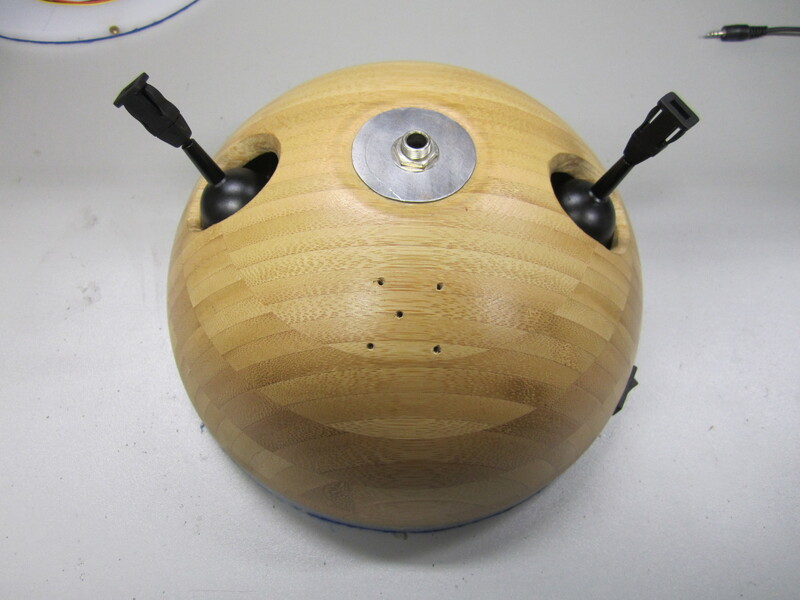 GameTrak modified into a Haptic Bowl.